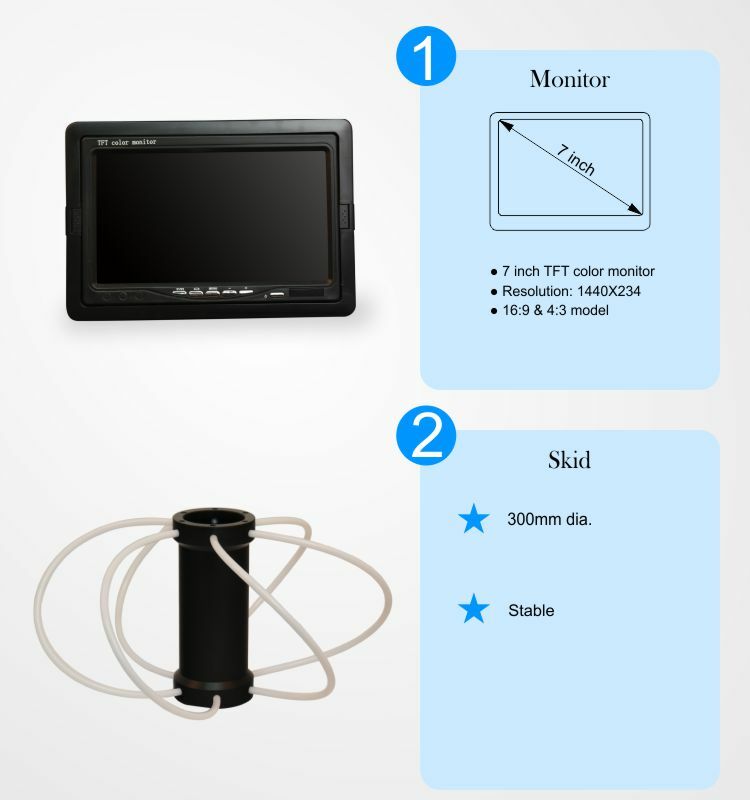 2017 new underwater visual HD fishing device, using high-definition 1200-line high-quality movement imaging clearer, small size, light weight, convenient to go out and carry. Portable shape design, can clearly watch fish eat bait. High-tech research and development, let you fishing when not blind eyes wait. ★ Fish Bait Design, elegant, very ornamental. ★1200 Line HD camera, water on the effect of better. 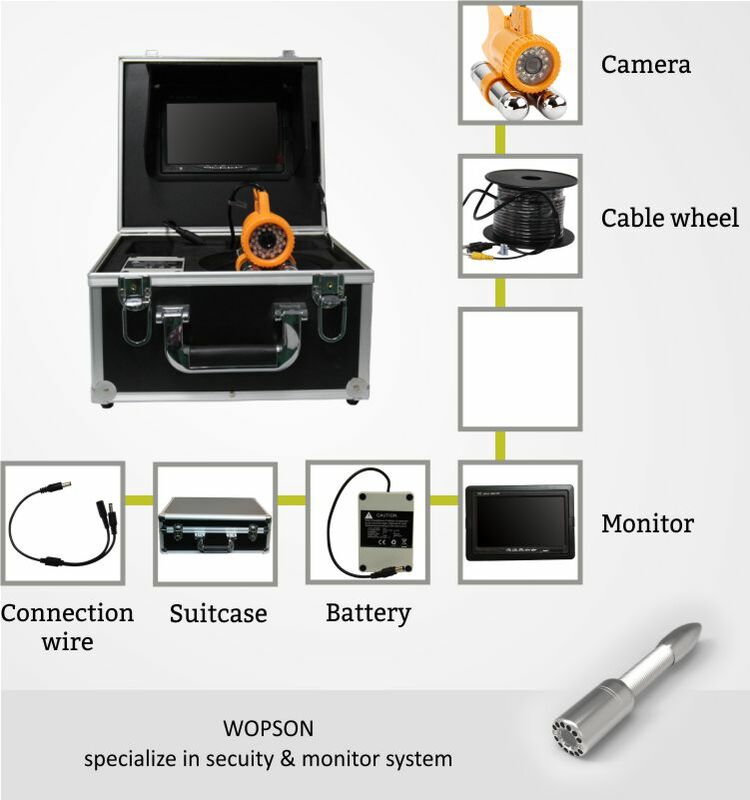 ★ Cold, waterproof, anti-corrosion, tensile strength of the special cable line. 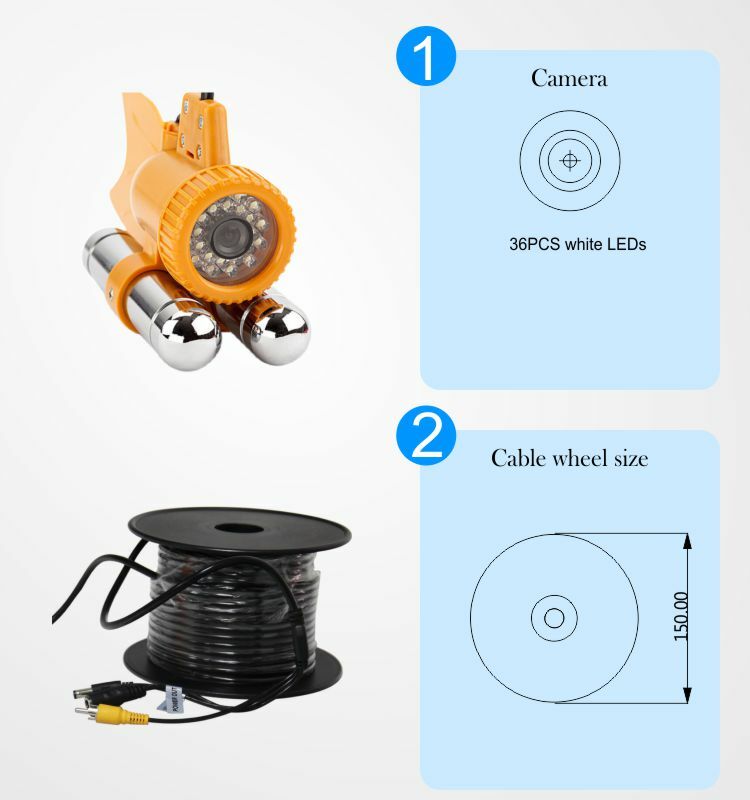 ★ With 12 LED white light, day and night can be fishing and play.